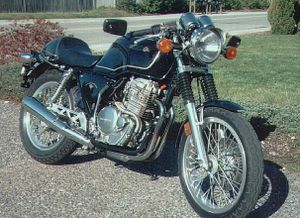 The Honda GB500 is a motorcycle produced by Honda from 1989 to 1990. 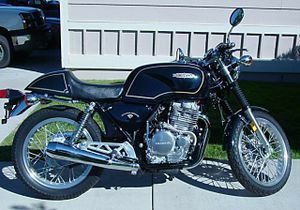 By 1989 the British twin cylinder motorcycles were replaced by British triples and primarily by the Japanese bikes. Each year the Tourist Trophy race was held on the Isle of Man and Honda was determined to bring back the flavor of those British twins with a bike that had look of the Norton and Triumph racing bikes. 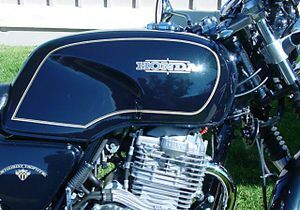 Honda responded by launching its GB500 (commonly known as the tourist trophy) as a retro-bike with styling and components that recalled fond memories for many motorcyclists of the classic British cycles. The GB500 was a clever package, designed to appeal to a new market that no current motorcycle maker had tapped: the classic, collectible cycles and the older enthusiast. 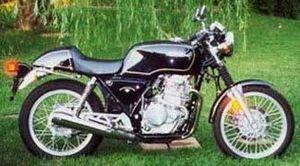 And while numerous British-cycle riders may have never given a second look at a Honda, the GB500 won many a heart. 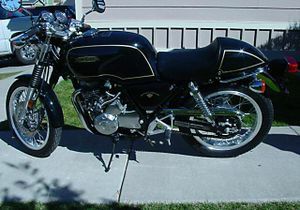 2 Revival of the "Thumper"
The GB500's nomenclature spelled out exactly what the cycle was designed to be: the GB stood for Great Britain, belying the bike's styling heritage; the 500 denoted the 500cc displacement, in itself a telltale, classic engine size. To top it of! 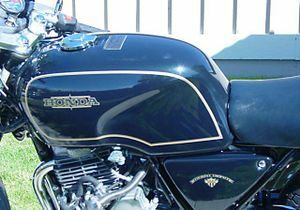 ', the black and gold paint scheme of the GB500's gas tank, side panels and rear seat cover immediately called to mind the Velocette and HRD-Vincent colors. 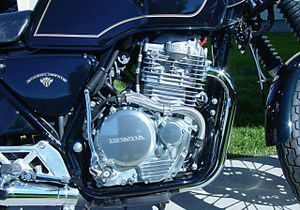 The most important aspect of a motorcycle is of course the engine, and Honda got that right as well. 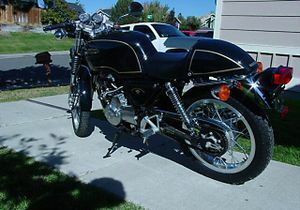 The GB500 was powered by a simple engine with a single, near-vertical cylinder, which reminded riders of many a classic British "thumper," from Norton to BSA, AJS to Matchless. And even with current noise and exhaust emissions regulations, the GB500's engine emitted a deep-throated howl that echoed back to the past. 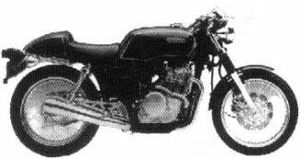 The GB500 had no fairing or 16-inch wheels seen on Japanese sportbikes. Instead the wheels were wire-spoked. The forks had gaiters. The handlebars were clip-ons. The fuel tank was blocky. A tail fairing was placed behind the one person saddle. 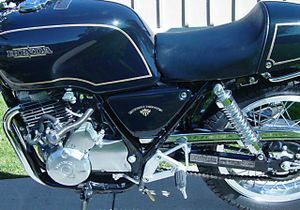 The engine was a 500 cc vertical single with a two-into-one header. However the single front disc brake belied the retro look. The GB500 was likely too early for the retro craze of the 21st century. The Honda Tourist Trophy, designated GB500'89 (GB500L'89 in California), was sold in 1989. One color was available: Black Green Mettalic with gold pinstriping and emblems. It had both electric start and a kick starter. The engine was a 499cc 4-stroke OHC RFVC dry sump single cylinder with a 5-speed transmission. The California serial number began JH2PC161*KK000003 while the rest of the United States models began JH2PC160*KK000001 (where the * indicates a checksum number). The Honda Tourist Trophy, designated GB500'90 (GB500L'90 in California), was sold in 1990. There was no visual change from the 1989 model. One color was available: Black Green Mettalic with gold pinstriping and emblems. It had both electric start and a kick starter. The engine was a 499cc 4-stroke OHC RFVC dry sump single cylinder with a 5-speed transmission. The California serial number began JH2PC161*LK100003 while the rest of the United States models began JH2PC160*LK100001 (where the * indicates a checksum number).